Waiting is something none of us like to do. Sure, if it’s our day off and we have no plans for the day, we might not mind sitting in the waiting room for that one appointment we have. But when we’re running late for work there is no way we’re going to wait behind more than four cars at Dunkin’ or if it’s cold and dark outside we don’t want to wait in line for that one item we need at the store. The thing is, waiting is always going to be a part of our lives. Whether it’s waiting in the office, in a long line, for the school bus, or waiting on God… we’re going to wait at some point. Most of us just don’t have any patience or very little of it. That is something I’m working on. In my life I’ve had to wait on God for a lot of things to come to pass. Within the past two years I’ve had to wait a significant amount of time for Him to lead me to two different jobs. For six months after I graduated college in May 2015 I consistently applied for jobs, and not just jobs in my field, any job I could. Six months of applying for jobs, getting a few interviews, but ultimately not getting the job can really discourage a person. When I finally landed a seasonal job at an arts & crafts store I was beyond thankful – and even more so when they kept me on past the Christmas season. Of course I didn’t plan to stay there forever, it wasn’t my dream job, but I was thankful to have one. 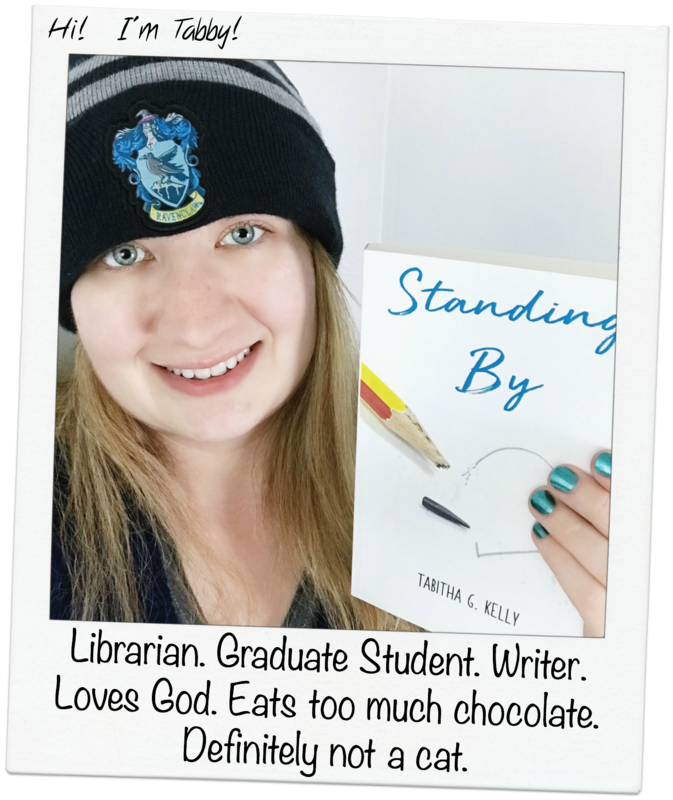 After a while I knew I needed a second job or a different job with more hours and I knew I really wanted to get into a bookstore or library because that’s where I wanted to end up down the line. Again, it took months of applying before I had any interviews and once I did, I didn’t get either the bookstore or the library that were both in the same town as where my mom works. Was I upset? Of course. But I knew that God had something planned for me and I had to wait a little longer. In the meantime I volunteered on my days off at both libraries I had been denied a job from – shelving books at one and working in the used bookstore at another. Then, I got that fateful call from the director at my town’s library which led me to the job that I have and love today. I know it was from God and only from Him because the job had just opened up that day, so I did not apply or have an interview… I simply got the job. Now I can’t tell you why I had to wait over a year after graduating to get a job that I love and is that starting point of my career, but I can tell you the wait was worth it. I can also tell you that after waiting that time out I really appreciate this job so much more than ever, even the one I had before. Waiting on God gave me the opportunity to trust that He was going to come through, which I will admit wasn’t always easy to do. There were plenty of times I was questioning why He didn’t allow me to get a job I had interviewed at because it seemed perfect, but I was immediately overcome with a peace of mind knowing that He knows what’s best for me. I might think I do, but I really don’t. After all, how else can I explain that after getting my Bachelor’s in Communication and set on going into a media production career that I have come back to my original desire of becoming a librarian? My only explanation is that God knew my true desires even when I forgot them. So yes, waiting isn’t always the most pleasant thing to endure, especially waiting on God because He works on His own timing, not ours. All I can say is that when you keep faith and know that He’s got this, it’s so worth it when He does come through.